Our Direction is Clear, Our Destination is You. Tequila Ciudad is a modern approach to premium tequila. Ciudad is made from tequilana weber, blue variety agave, which is grown in the highlands of Mexico, where the soil is red and agave is bursting with flavor. Launching initially with three styles, Blanco, Reposado and Anejo, tequila Ciudad is currently available in 27 states with Deutsch Distributors and is currently in all Total Wine and More stores nationally. 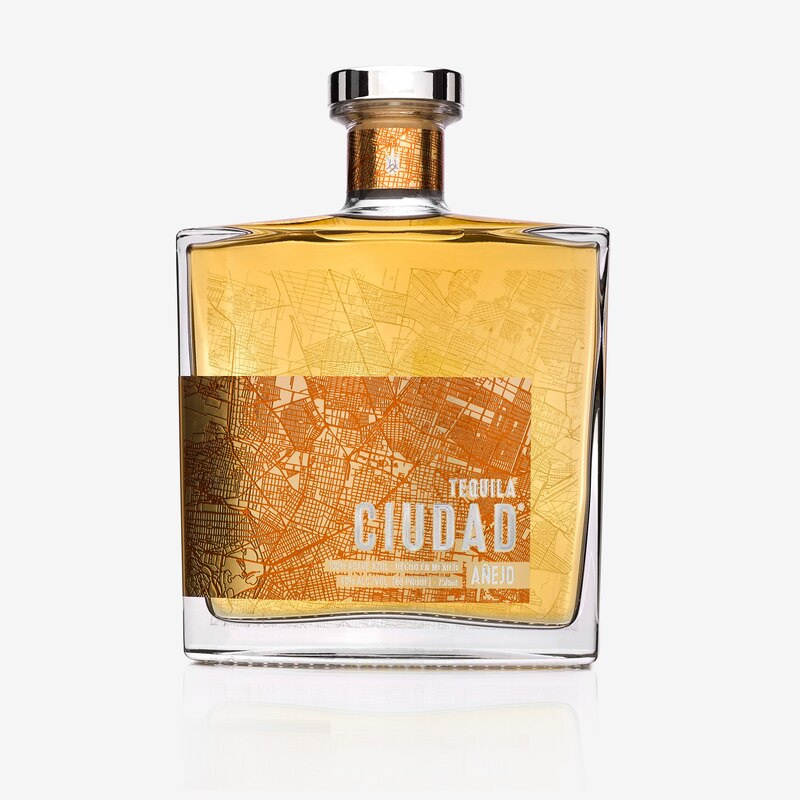 Each bottle of Ciudad is etched with a map of Mexico City, the capital and heartbeat of Mexico. It represents a growing and progressive culture as well as the energy, ambition, the hustle, the strength to succeed, the ability to stand out. Tequila, like Scotch or Champagne, has an old soul steeped in culture and quality, but it is also vibrant, immediate, sophisticated and modern; it is alive, it has energy. It represents millions of journeys with clear destinations. This is the embodiment of Ciudad. Relentless in pursuit to make something better, something extraordinary, and then find a destination worthy of the effort. Our direction is clear. Our destination is you! 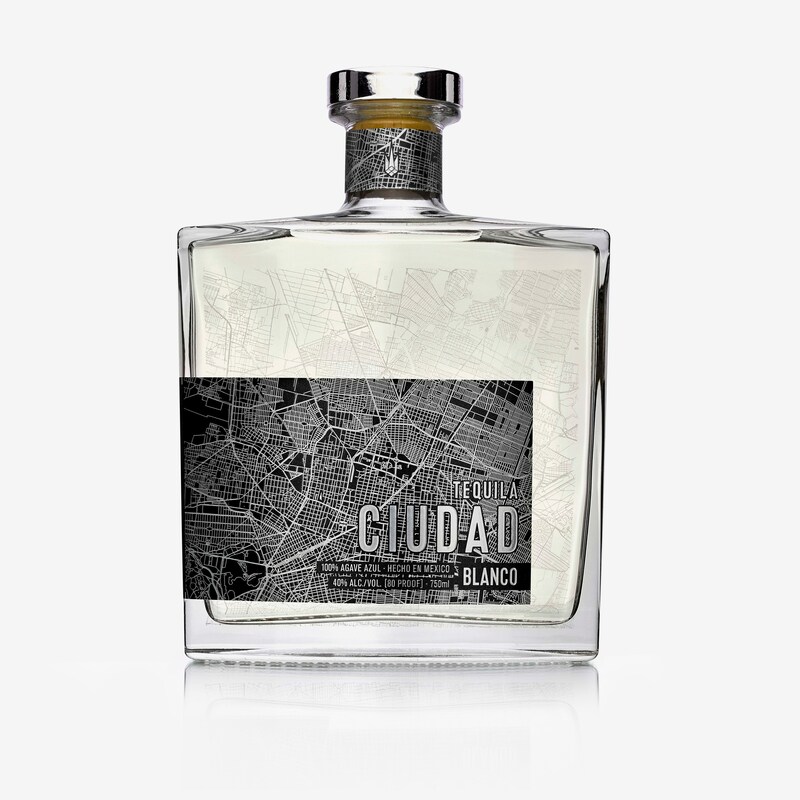 CIUDAD BLANCO: Not aged, distilled in copper stills and immediately bottled AROMA: Bright Highland Agave, fresh grass and citrus, green fruits like mango peel and pineapple. TASTE: Smooth Oak flavor, with tastes of honey and vanilla that remain in the mouth and slightly smoked. CIUDAD ANEJOEach bottle of Ciudad is etched with a map of Mexico City, the capital and heartbeat of Mexico. CIUDAD BLANCOEach bottle of Ciudad is etched with a map of Mexico City, the capital and heartbeat of Mexico. CIUDAD REPOSADOEach bottle of Ciudad is etched with a map of Mexico City, the capital and heartbeat of Mexico.